Hope everyone is having a great Easter weekend and looking forward to the Bank Holiday! 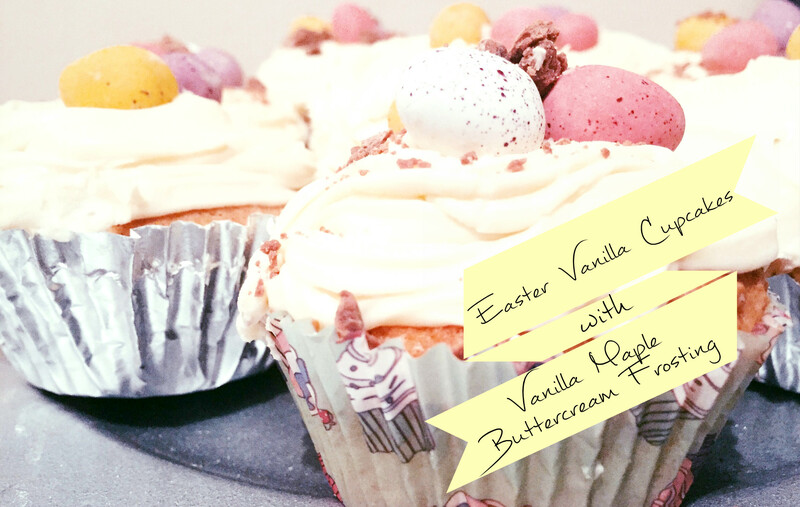 Today I have a super simple cupcake recipe which not only tastes great but is also really quick to whip together with a little help from Betty Crocker. Lets get straight into what you will will need.. 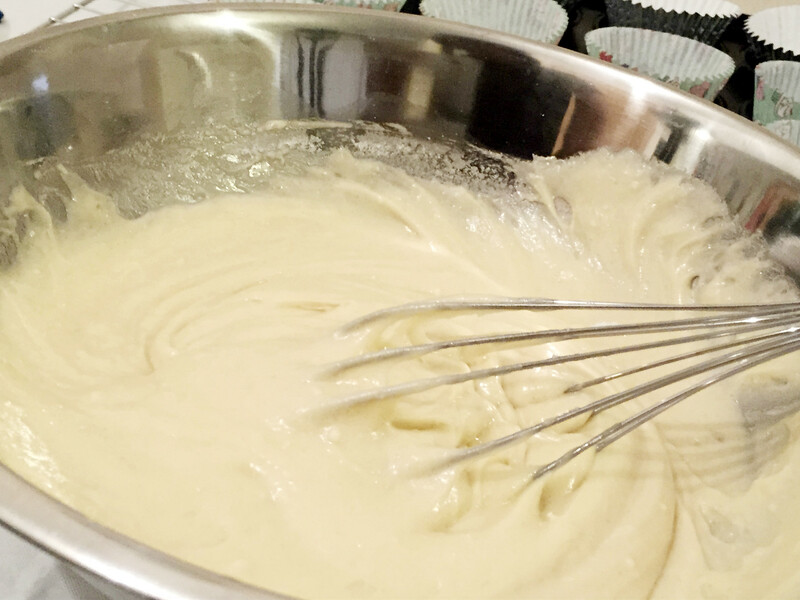 Mix the eggs, oil, water and cake mix gently together and whisk (by hand or electric mixer) for 2 to 3 Minuets until smooth and creamy. Pour the cake mixture evenly into the cupcake cases. Remember that this mix is intended for a cake such as a Victoria Sponge so the texture is a little more dense and it will rise in the oven so leave room for icing. 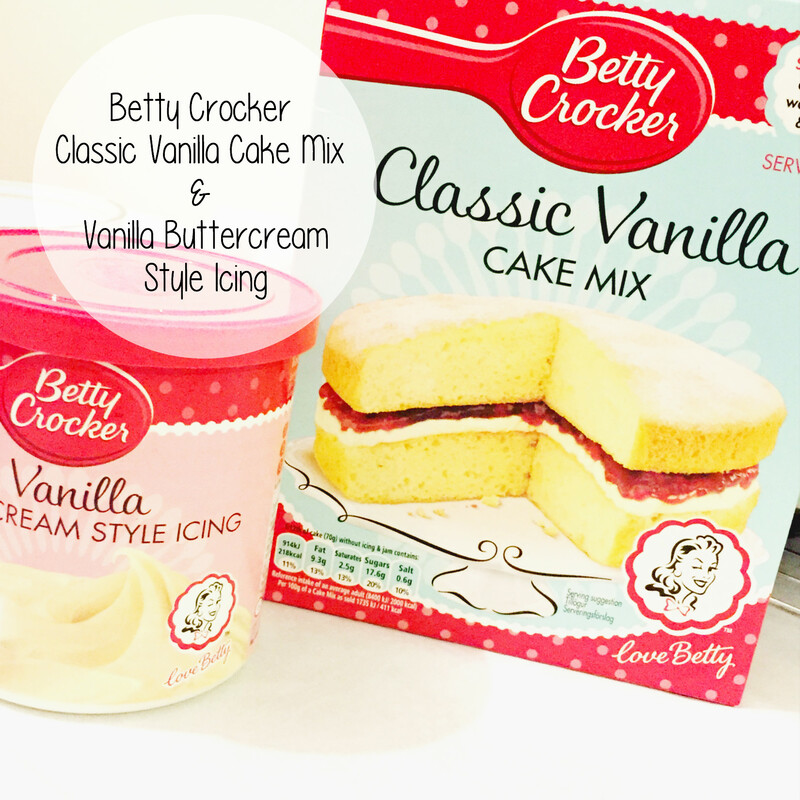 Next make your icing by simply mixing the Betty Crocker Vanilla Buttercream style icing and add a dollop of Maple syrup. Then using an Piping bag (No worries if you don’t have one a ziplock bag or a spoon will do just fine) swirl around the top of each cupcake starting on the outside and working your way inwards. 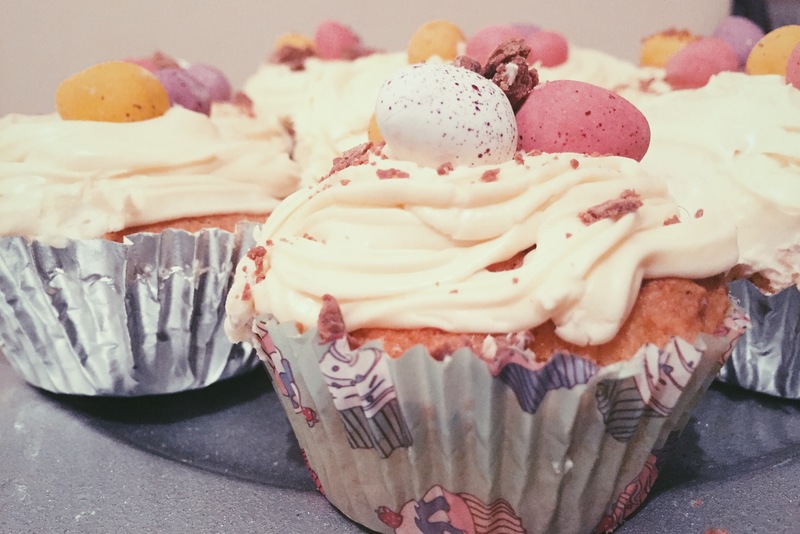 Lastly Decorate with Mini eggs and a sprinkle of your favourite grated chocolate, I used Mini Twirls. Hope your Easter brings you much joy! You may need to pop the cupcakes in the fridge to set the icing or even better store the icing in the fridge beforehand so its easier to control and not as runny.